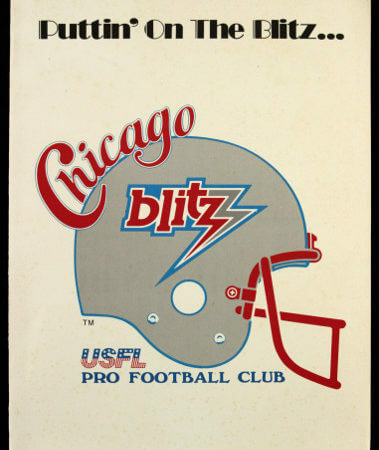 The Blitz were one of the twelve charter franchises of the USFL. The owner was originally slated to be J. Walter Duncan, an Oklahoma oil magnate who had grown up in Chicago. However, league founder David Dixon persuaded Duncan to take on ownership of the New York City franchise–what became the New Jersey Generals–after its original owner, Donald Trump, pulled out. With Duncan’s withdrawal, legendary NFL coach George Allen and Southern California developer Bill Harris applied for the vacant Chicago franchise. A search for capital led them to renowned heart surgeon Dr. Ted Diethrich, who had originally expressed interest in a franchise for his hometown of Phoenix. However, he agreed to join Allen and Harris’ group in return for controlling interest. Diethrich served as president, with Harris as executive vice president and Allen as chairman of the board and head coach. As it turned out, Arizona Wranglers owner Jim Joseph had lost almost as much money as Diethrich, and was looking to sell the Wranglers. Diethrich was willing to take over in Arizona, provided that he keep Allen and the NFL veteran-loaded roster that he had assembled a year earlier. Joseph readily agreed. Soon afterward, Diethrich found a buyer for the Blitz in Milwaukee-based heart surgeon James Hoffman. This resulted in one of the most unusual transactions in sports history. On September 20, 1983, Diethrich sold the Blitz to Hoffman for $7.2 million, then bought the Wranglers from Joseph. Hoffman and Diethrich then engineered a swap of assets in which Allen, the Blitz coaching staff and most of the Blitz players moved to Phoenix while most of the Wranglers roster moved to Chicago. Over 100 total players changed hands. The most notable exception was that Wrangler quarterback Alan Risher stayed in Arizona to back up Greg Landry. Diethrich initially wanted to take the Blitz name with him to Arizona, but Hoffman insisted on keeping the Blitz name in Chicago. However, little else was left. As soon as the deal closed, Allen sent virtually everything of value at Blitz headquarters in Des Plaines to Phoenix, including typewriters and mirrors. Nearly everything with a Blitz logo or even the team name was thrown into the dumpster. Allen also sent some $100,000 worth of equipment that should have stayed in Chicago as part of the purchase, but Diethrich promised it would be returned. The deal transformed the Wranglers from a cellar-dweller to a powerhouse almost overnight, while turning the Blitz into a lesser version of the 4-14 Wranglers. However, Hoffman claimed that he would not have even considered buying the team had he been required to keep the expensive player contracts. Nonetheless, the transaction raised serious questions about the USFL’s credibility—especially in Chicago. The USFL considered the 1983 and 1984 Wranglers to be the same franchise, even though almost all the players were different. The Chicago Blitz was a professional American football team that played in the United States Football League in the mid-1980s. Blitz – Blitz the QB, a strategy used by a defensive unit in which they will have a player other than a member of the defensive line attempt to pressure the quarterback. This resulted in one of the most unusual transactions in sports history. Diethrich sold the Blitz to fellow surgeon James Hoffman, then bought the Wranglers from Joseph. Hoffman and Diethrich then engineered a swap of assets in which George Allen, the Blitz coaching staff and most of the Blitz players moved to Phoenix while most of the Wranglers roster moved to Chicago. 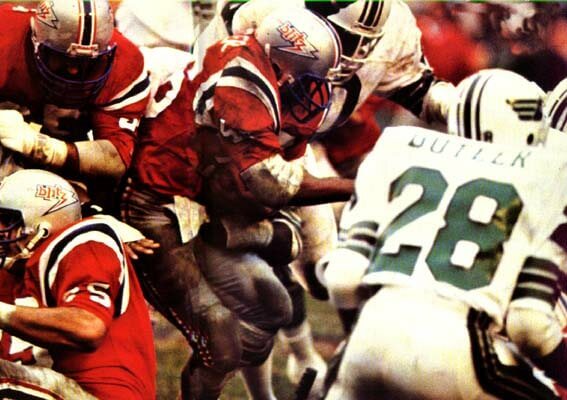 Who is the greatest Chicago Blitz?